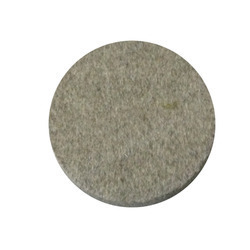 We are the foremost manufacturer, exporter, wholesaler, importer and supplier of elevated range of Grey Felt Wheel. Our offered felt Wheel is checked in terms of quality so as to deliver a flawless range. 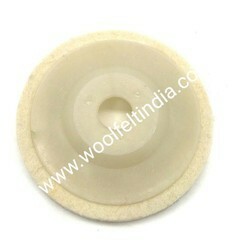 This felt Wheel is made with best quality materials in sync with the industry standards. Additionally, offered felt disk is available in diverse sizes to fulfill the exact needs of our clients. Our organization has acquired one of the top most positions in the industry for offering Jewellery polishing tools. These polishing tools are used for polishing of jewelry, metals, glass & stainless steel products. Offered polishing tools are made by using quality material as per the set standard of market. 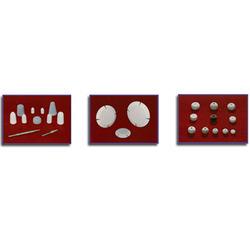 Our customers can avail these polishing tools from us in varied sizes at most affordable price. Looking for Felt Policing Disk ?